SIGMA has earned a reputation for producing high precision gears and gearboxes for the global market through our network of quality vendors. 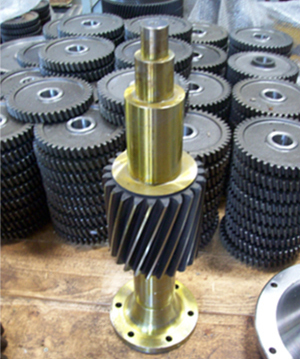 Our gear manufacturers use the latest in state-of-the-art equipment and processes for design and manufacturing of gears of all types. We offer a variety of demanding finishes. Our metrology labs can unequivocally qualify your gears, from critical dimensions to profile measurements. Highly modernized equipment such as hobbing machines, gear shaper maxicut, tooth rounding machines, cylindrical grinding systems, band saw, universal milling machines and Vickers hardness testers allow us to manufacture extremely durable gears to all specifications.